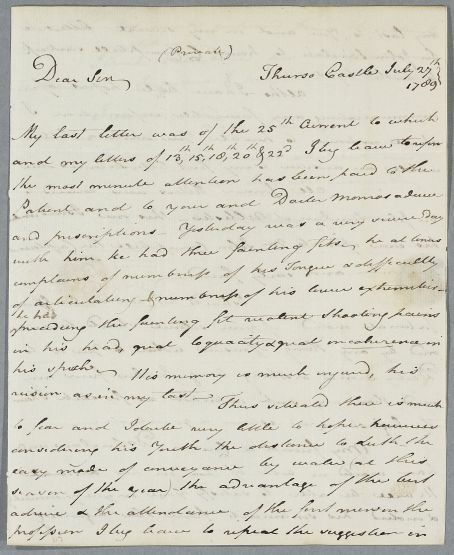 Letter from William Sinclair concerning the case of Captain Campbell. 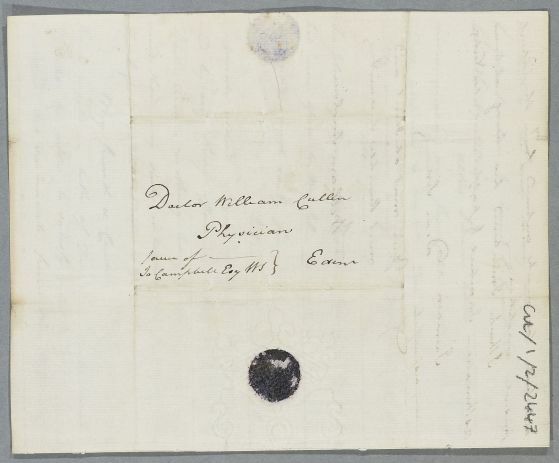 He refers to his previous letters of 13th, 15th , 18th, 20th and 22nd. All former letters were carried to Sir John Sinclair of Ulbster although this one was given to John Campbell, the Captain's friend. Dr Sinclair, the writer's cousin, will give Cullen and Monro further information. 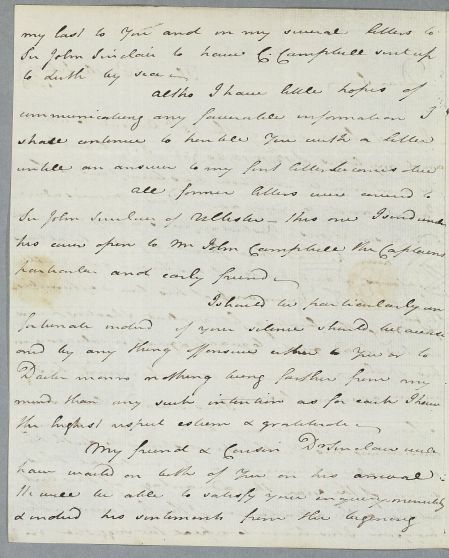 Summary Letter from William Sinclair concerning the case of Captain Campbell. 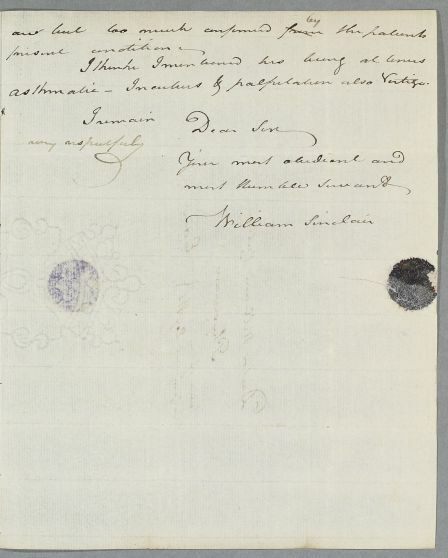 He refers to his previous letters of 13th, 15th , 18th, 20th and 22nd. All former letters were carried to Sir John Sinclair of Ulbster although this one was given to John Campbell, the Captain's friend. Dr Sinclair, the writer's cousin, will give Cullen and Monro further information. Case of Captain Campbell who has developed eye problems.